Shy spent the summer working in Professor Bing Xu’s lab, focusing on peptide self-assembly. Working in the lab helped her to expand her research experience to the field of biomaterials and broadened her perspective about the possibilities of a graduate education and the careers available to her as a researcher. “The comradery was great, and I had many memorable experiences through the internship,” she says. Shy hopes that by understanding more about the morphology of small molecules outside of the host protein, we can understand more about the interactions between the overall protein itself, and possibly use these small molecules for improved drug delivery. The Xu lab takes an interdisciplinary approach to scientific investigation, using chemistry, biology and materials science in its research. “I hope that as time progresses, I will have the opportunity to collaborate with other labs as well,” says Shy. Although she mainly works independently, she has the support of her lab mates if she has any questions or concerns. “People collaborate on projects all the time, so the sense of teamwork is strong. Everyone is helpful and supportive,” she says. Outside of the lab, Shy has found the science community at Brandeis to be very welcoming to students with all kinds of different backgrounds. 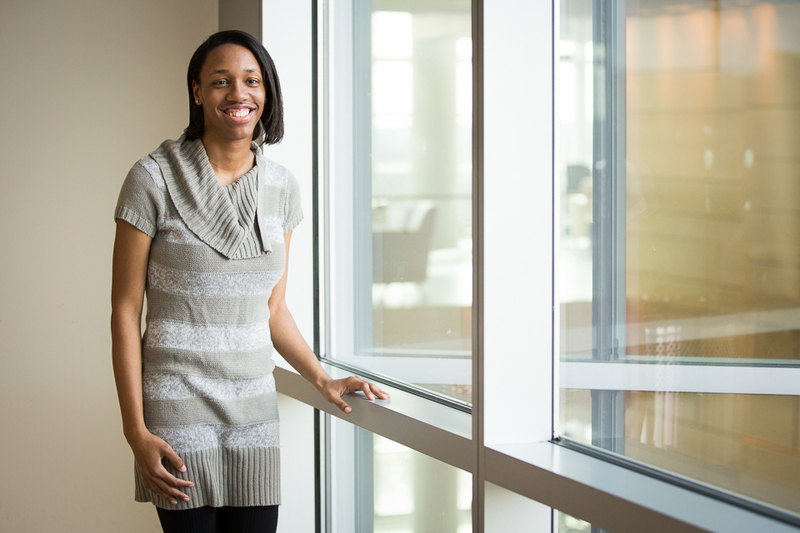 She recently joined the Women in Science Initiative and is a member of the Diverse Brandeis Scholars Group. “It is great to meet women from different disciplines and get to know others outside of the lab,” she says.